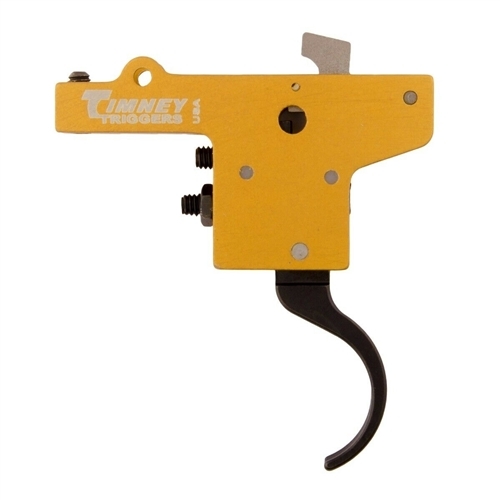 Timney Featherweight Triggers are precision machined and hand-fitted to provide a crisp trigger pull. They feature a lightweight alloy housing with machined and hardened steel working surfaces. Adjustable for creep and overtravel. Requires fitting by a qualified gunsmith. Fits all large and small ring Mausers including the Yugoslavian M48, Husqvarna, Interarms Mark X. Will not fit: Swedish Mausers and carbine actions with "KAR 98" on the siderails.